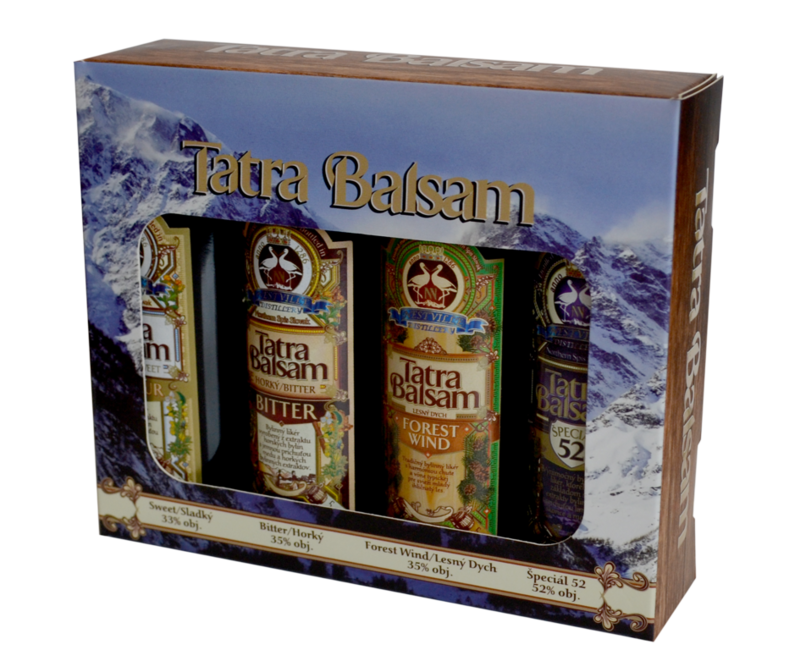 Tatra Balsam is a series of herbal liqueurs the basis of which comes from the well-known recipes of the foothills region of the Tatras and are linked to the long-term tradition of homespun medicinal liqueurs. Apart from excellent quality spring water, the most important component of the Tatra Balsam liqueurs is the extracts of selected mountain herbs that give each of our products its own identity of flavour, aroma and origin. Production follows centuries-old homespun recipes for medicinal liqueurs, characterised by extracts of mountain herbs, flavoured with various ingredients to soften taste such as honey, cinnamon, lemon peel, anise, and gentian. Liqueur production has a long tradition in the North Spiš region and is associated with the liqueurs produced by the Morgenbesser family, such as Hokejka liqueur. If anyone wonders how a company that dares to say customer satisfaction and health are of utmost importance for them, and yet produces alcoholic beverages (liqueurs), it should be noted that the production of quality herbal liqueurs was once the sole domain of pharmacists and practically every pharmacy had its own liqueur or elixir speciality.